Divorces, custody trials, PFA’s, and ICC’s are tricky areas when discussing the law. If you don’t have the right legal representation, you might get stuck with an excessive support order, be denied custody rights, or lose a significant amount of your assets including pensions and retirement funds. Attorney Damon C. Hopkins has gained a reputation for being both a fighter and a fixer. We understand that facing any of the above situations in family court is a scary and stressful time in your life. You need an attorney who cares about you and who can guide you through the Family court system. With over 22 years of experience litigating trials in Erie County, Attorney Hopkins is the lawyer you want and need for your family law case. 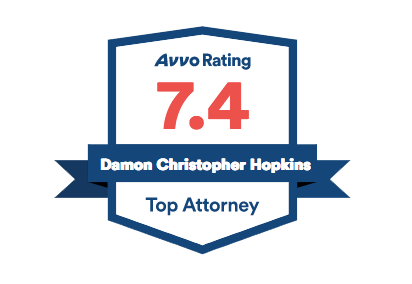 Call the office of Attorney Damon C. Hopkins to schedule an appointment today! Traditionally, family law cases are litigated in court. Most people think Litigation is “the only way” to handle these issues. In Litigation, each person is represented by their own attorney, and the ultimate decision maker is a Judge or other court officer. Divorce, custody, and support cases are frequently handled through litigation. Some cases must be handled in the court system, such as PFA’s & ICC’s. Separation, divorce, and premarital agreements all deal with money, but custody cases deal with the most important aspect of most people’s lives, their children. If you have tried to work things out with the other parent and have reached the point where you can no longer communicate, or feel you need the court to intervene, call Attorney Hopkins. When two parents cannot see eye to eye, it helps to have a lawyer like Damon C. Hopkins remaining objective and guiding you through the process. With custody, even though the initial custody hearing is completed, there are milestones in your child’s life that will involve the other parent, in some cases, this will bring you back into the courtroom. When dealing with custody, it is essential to be guided through the process with someone who you trust and know is on your side. Attorney Hopkins looks at the big picture to provide guidance for many years to come. PFA stands for a Protection From Abuse order. Typically when a spouse or loved one feels threatened or abused by another person they may seek the assistance of the courts by asking for a PFA, which is essentially a restraining order preventing a person from having any contact whatsoever with the “abused individual.” A PFA can be very dangerous to you; the court will give the abused individual an attorney for free, do not try to handle this matter on your own, talk to Attorney Hopkins before it’s too late. ICC stands for Indirect Criminal Contempt. If you have a PFA against you and have been accused of violating it, the police will charge you with an ICC. A conviction for an ICC will likely mean jail time. If you have been charged with violating a PFA order, call Attorney Hopkins immediately and discuss the best way to proceed.